To develop globally competent Product Design and Manufacturing engineers capable of working in an interdisciplinary environment, contributing to society through innovation, leadership and entrepreneurship. To develop globally competent mechanical engineers capable of working in an interdisciplinary environment, contributing to society through innovation, leadership and entrepreneurship. 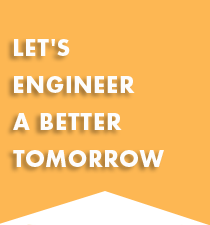 To impart quality education in the field of mechanical engineering by inculcating values to serve the needs of the society and industry by aiding in overall progress and development. Eligibility : Pass in B.E. / B.Tech in Mechanical Engineering / Industrial and Product Engineering / Automobile Engineering / Manufacturing Engineering / Industrial Engineering and Management / Aeronautical Engineering or equivalent degree: AMIE in appropriate branch with a minimum of 50% marks in aggregate. The student should have qualified in GATE(ME, PI, AE)/PGCET Exam.